I wonder if it would be rude that instead of using a traditional registry, I just gave people my blog link? After all, it's like one big wish list. Tacky you say? Eh. Maybe. Wouldn't be the tackiest thing I've ever done. these coasters are just adorable ... I LOVE them !! I think it would be marvelous... plus, wouldn't you rather have people buy gifts from fabulous little shops and support small business rather than buy random applicances from superstores for your wedding?? And I love this little shop... off to spend some more time there! Oh my goodness - I love those coasters! So sweet. This looks like a great shop. You could always have am etsy registry! I think that is a wonderful idea...Besides the worst thing as a friend or family member is buying the bride and groom something they will never use. This way you really get what you want, not necessarily need...but wanting is better...right :) You rock by the way! I heart your sense of style... thanks for the inspirations! I've always loved doily decor! These are cute! Oh wow! I love those coasters too! Adorable! eh, just do the link! it's all good. :) and i am loving the vase! The whole concept of a gift registry was once thought to be rude but, now most take it as easy menu rather than an obligation. Folks really do want to give you what you want. And still register at a few places that make the most aesthetic sense to you. Don't make then have to guess. Oh, I can absolutely picture some cute cakes on those doilies. Very lovely. Why not...it's always good to get what you really want darling! 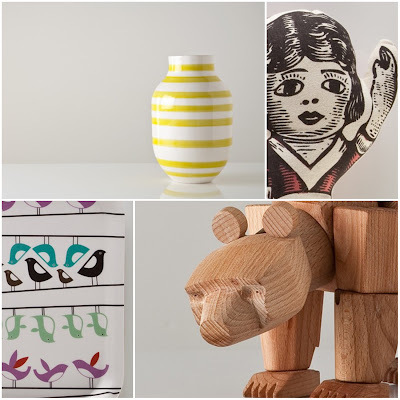 The coasters are so lovely~ the bear I love, so folk-arty! 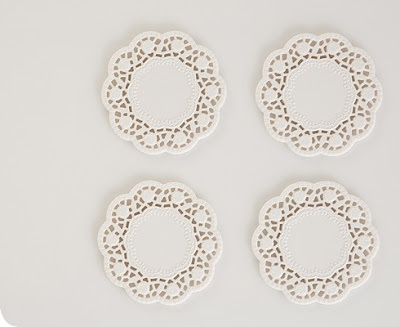 I love the doily coasters, I would be putting some delicious cupcakes on them in no time flat! and oh so reasonably priced - love it! Well....actually you will be able to have your registry at Gretel. We're launching it in a couple of weeks. I'll keep you posted. Thanks for sharing Gretel with your readers. Your blog is really nice. Add your link! I'd rather get you something you truly want rather than need!